Well, I had to share this with you guys, as I stumbled upon something really great today as I was trying to utilize some leftovers in my fridge. So, I stock up on some things every now and again, not really knowing what I will use them for in the long run. But, I like the challenge of trying to figure out what to do with different ingredients. It doesn’t always work out so HOT, but it keeps me on my toes, lol. There happened to be a huge sale at the grocery store on Crescent Biscuits. I figured I’ll get them now and use them later for something else. With 4 kids, life can get pretty busy and if I can do anything to cut me some slack for lunch time, it’s worth it. Well, here I am today, looking in the fridge and trying to figure out what to make for my sweeties. I didn’t really have a lot of time because the day was getting away from me, so it hit me, “You have Crescents in the freezer”. So, I head outside to get them and let them sit and thaw for a bit. Then I remembered I had some left over meatballs in the fridge (made from pecan meal, breadcrumbs w/italian seasoning, onion powder, garlic powder, onions, green peppers and tomatoes). They had gotten pretty firm from sitting in the fridge, and the sauce I cooked them in had settled pretty nicely over the balls. So, I broke them up a bit, leaving some chunks and it reminded me of a ground meat kind of texture. 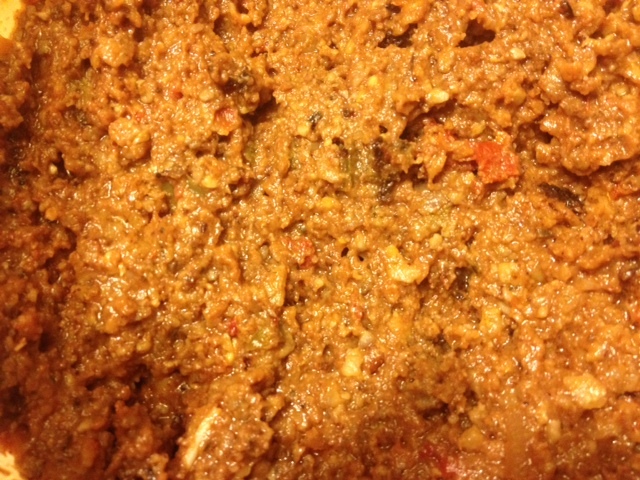 Then I went and got some Sloppy Joe sauce (you can find a nice veggie recipe on line to make your own). Mixed it up in there and gave it a taste, and I KNEW this would make a good filling for the crescents. After rolling out the individual doe pieces and filling them with the meat, I also topped it with cheese (you could also substitute cashew cheese or some kind of veggie cheese, or perhaps other toppings such as mushrooms), sealed the ends and placed it in the oven for 10 minutes. When it was all over, I had perfectly good HOT POCKETS made from home. The kids LOVED THEM! It took me no time to make. I also had enough left over to use some for the next day or for my husband’s lunch box to take to work. 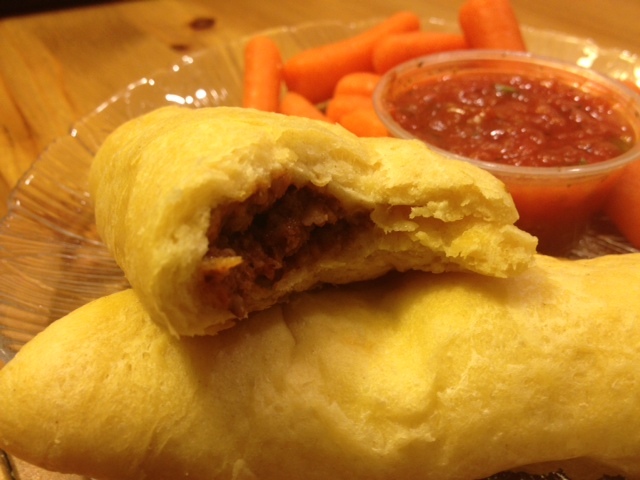 Small size food pouch, filled with a healthy meat alternative, it turned out great! Add a small salad or cucumber sticks with dip and you are good to go! Just as a FYI – I found out that Trader Joe’s has Whole Wheat crescent biscuits and rolls, so I’ll be stocking up on those the next time around.